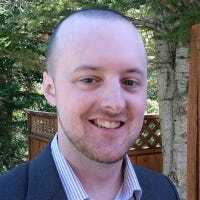 What Is the “Queue” Tab in the Alexa App? 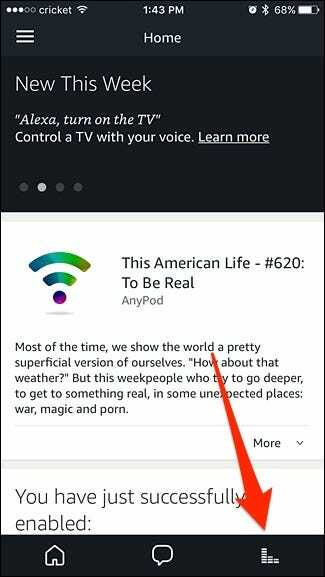 The Player tab in the bottom right-hand corner of the Alexa app is a recent addition—there, you can see what media your Echo is currently playing. However, within that section there’s a mysterious “Queue” tab. Here’s what it actually does. First off, if you don’t know what we’re talking about, open up the Alexa app and tap on the Player tab down in the bottom-right corner. Then tap on the “Queue” tab up near the top of the screen. It’ll be empty to start with, but once you begin listening to music, it will fill up. However, let’s get the bad news out of the way now: Unfortunately, you can’t ask Alexa to queue up songs. So saying something like “Alexa, play Taylor Swift after this song” won’t do anything. So then what’s the purpose of the Queue tab if you can’t queue up songs? This tab is merely there to show you the next song that’s going to play if you told Alexa to play an album or a playlist. 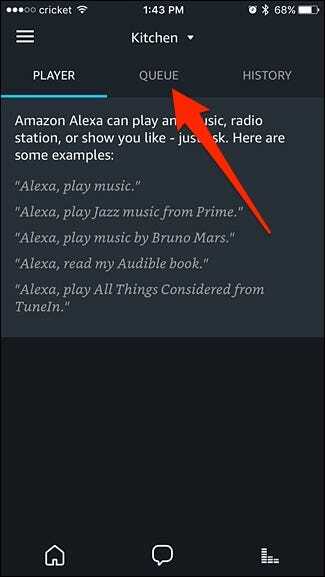 It can be confusing, because if you told Alexa to play a specific song, that one song (and only that one song) will show up in the Queue tab, making that screen kind of useless. 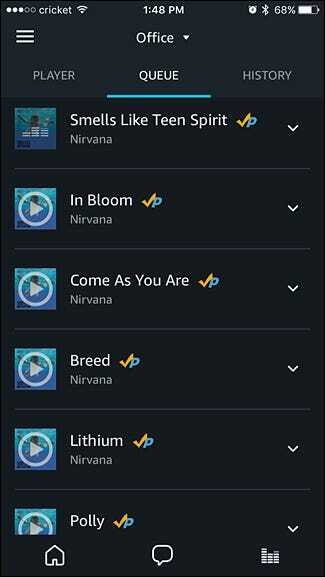 However, if you were to tell Alexa to play an entire album or playlist, you would have all the songs from that album or playlist show up within the Queue tab, letting you quickly glance to see which songs are going to play next. From there, you can tell Alexa to “play the next song” and she’ll play the next song that’s in the queue. 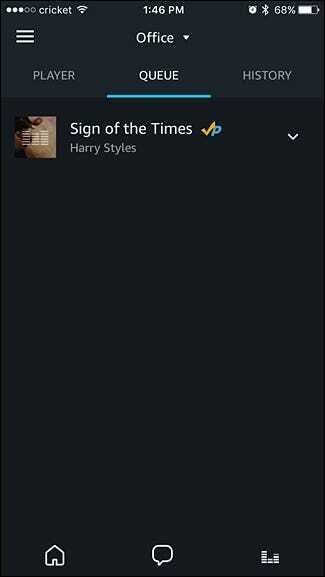 You can also tap on the play button next to any song listed in the queue. Keep in mind that this only works when playing music from Prime Music. 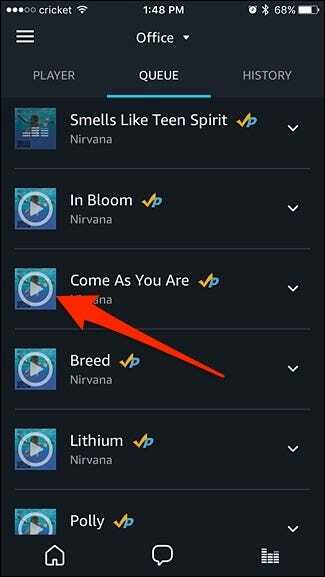 If you use Spotify to play your music, the queue will only show the current song being played, rather than songs from the entire album or playlist.